Current Residence- Leonora as of recently resides in the Gorm Scáthán Region of Nyxiana with her mother while her brother is currently being trained in the Antiford Military Academy. Lenora or otherwise known as Lennie by her comrades and family has always had somewhat of a knack for inventing. She was very rebellious and a complete tomboy, besides getting in trouble with the bobbies or 'tin men' as she called them, she could only find comfort in inventing like her father even as a kid when she lived in Kuu with her entire family she had always been completely infatuated with the fact that her father was an inventor, one working for the Ministrey of Peace as a Arms Manufactorer no less! She would hover over her father in his workshop through many hours of the day picking up tips he would give her as he reached obstacles in his work. Once she was old enough her father started mentoring her in the craft and she was soon exceeding his expectations all together. She would even be seen giving him some tips that he had given her in the past as they worked side by side developing blueprints and scale models to be later made into the real thing. One memorable invention they had planned to make was a pair of steam powered wings, they had everything in order to begin the project, but then tragedy struck. Her father had developed an extreme case of polio which had rendered him unable to move and bedridden until the day he passed away in his sleep. This hit no one harder than Lennie, she not only had to put all of the work into her own hands but she had to mourn the loss of one of the most influencial people in her life. Her last promise to him was that she would complete their last project together. 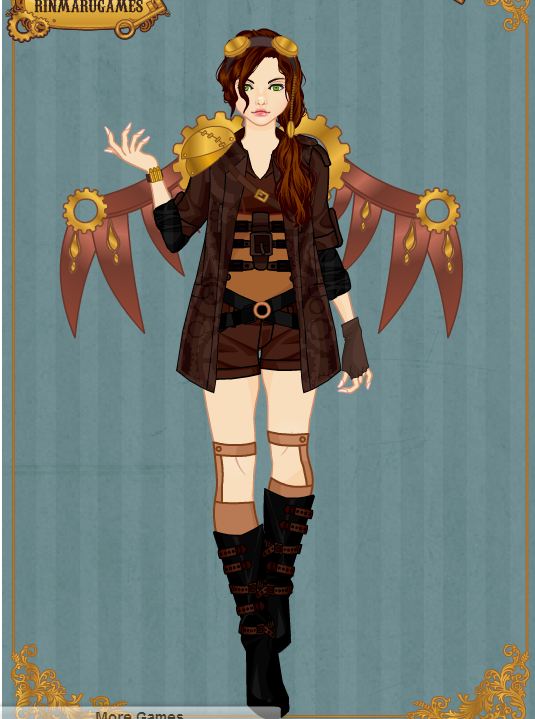 Leonora's Wings.